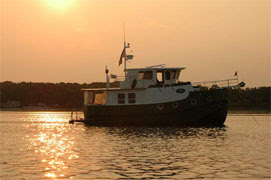 Another image from our evening cruise up to Providence. 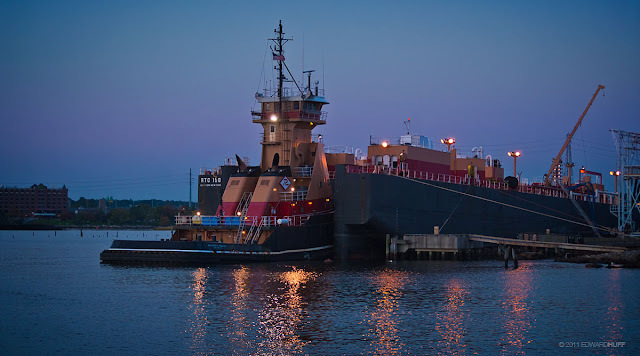 I love tugs and all working boats and got this shot just after sunset of the composite unit of the Meredith C. Reinauer and her barge at the fuel docks in East Providence. That is Providence in the background just across the Seekonk River. As with all my photos, prints are available.